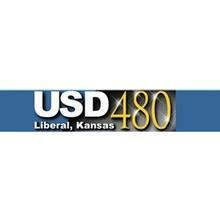 There was big news out of the USD 480 school board meeting last night. All day kindergarten is coming to Liberal. The board approved a decision to implement all day kindergarten in the fall of 2017. The move means the district will hire nine new teachers. The state pays for half day kindergarten so the board will have to find a way to spend $600,500 for all day kindergarten. The board voted to restructure the coaching of the Eisenhower Middle School track team. There had been two head coaches and three assistants. That will change to one head coach and five assistants. The board passed a resolution extending the terms of board members. After the legislature changed the date to elect from April to November, the terms will run until January of 2018 instead of June 30. The board renewed the contract for adolescent support services for the teen court program. The program has been going since 2015-16. If a kid gets in trouble they can go to teen court with teen judge, jury, lawyers, etc. Usually the teen court gives community service or asks for a letter of apology. If those conditions are met, this does not go on the students record. This costs $20,686. The board also approved an upgrade for servers for more storage for $104,589.